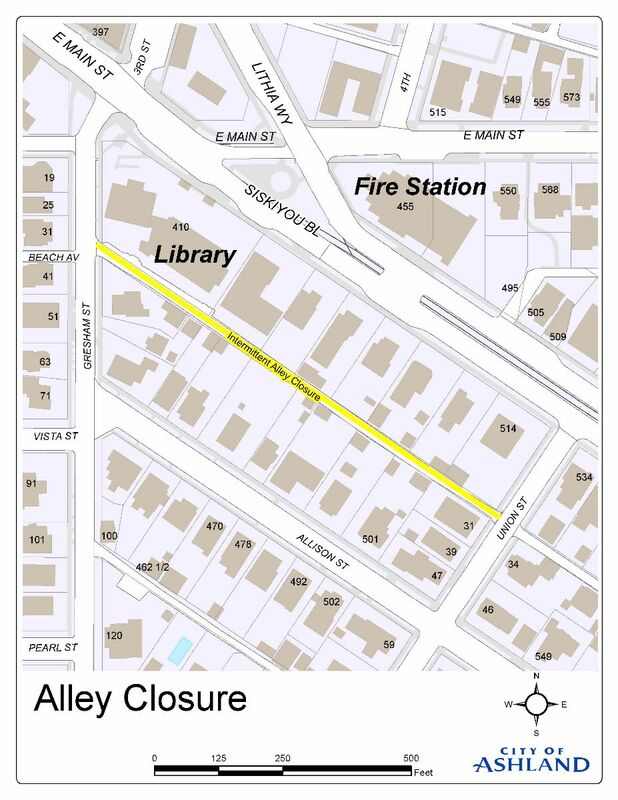 The Public Works Street division will be doing repairs to the stormdrain that runs along the alley beginning on 1/7/19 and lasting through 1/17/19. During this time we suggest you avoid the alley as there may be intermittent delays. We apologize for the inconvenience and appreciate your patience. If you have any questions you may contact us at 541-488-5587.